Types of construction projects range from schools/university buildings, hospitals, water/wastewater treatment facilities, swimming pools and flood mitigation projects to name a few. 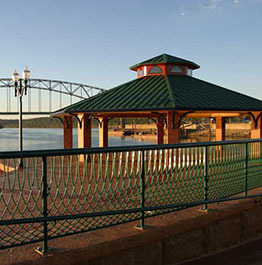 Portzen Construction is the largest union contractor in the Dubuque area. Portzen Construction’s general contracting services include construction management and design build services. Self-performed field work includes rough carpentry, finish carpentry, framing, steel studs & drywall and Duro-Last Roofing. Portzen Construction’s excavating services include building/site demolition, utilities (storm, sewer, water main), building excavation and site excavation. Portzen Construction’s concrete services include flatwork, structural concrete, paving and Tilt-Up concrete panels. 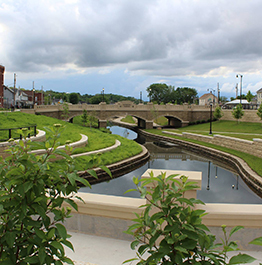 Portzen Construction has a plumbing and heating division of the company with a d/b/a name of Dubuque Plumbing & Heating. 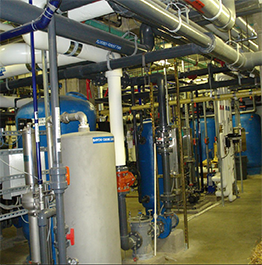 Services for this division include plumbing, hydronic heating, medical gas piping and process piping. We would like to congratulate you on your choice of the crew that was selected to put in the new street of McKinley Ave.
We bring Portzen Cons. into the process from the start as they have knowledge and expertise needed to make my job easy. President of Pepsi-Cola bottling Co.
Everyone was impressed with the speed and quality of work and we will be happy to work with your companyin the future.